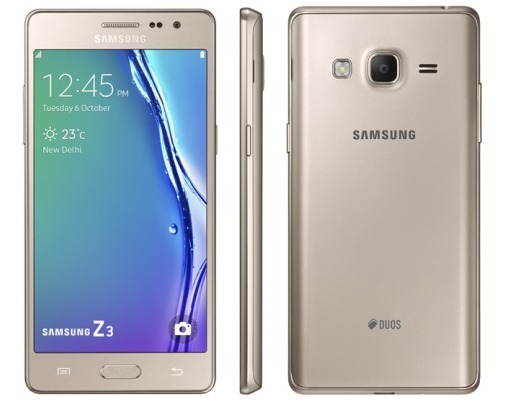 Samsung had officially launched its second Tizen powered smartphone Samsung Z3 today in India. The device is expected to be launched at ‘Tizen Developer Summit’ that was held in Bengaluru on 30th-31st July 2015, but that didn’t happen. With the Prime Ministers ‘Make in India’ call, there are many smartphone manufacturer who had already started production in India and Samsung is one of them. The Samsung Z3 is the first device from the company that will be exported out of India. The device comes with pre-installed Mix Radio app, the personalized music streaming service. It will be a lifetime free service with 1000+ mixes and 30 million plus tracks. Samsung also launched the ‘My Galaxy’ app in partnership with PayTM, Amazon, BookMyShow and many others for extra saving on shopping through the smartphones. The device comes with a 5-inch HD (1280×720) Super AMOLED display which make it the best display at this price range. Under the hood is the Spreadtrum quad-core processor clocked at 1.3GHz, unlike the earlier rumored Snapdragon 410 processor. It comes with 1GB of RAM and 8GB of internal storage along with a micro SD card slot that can support upto 128GB. Coming to the camera, it has an 8MP rear camera with LED flash and f/2.2 aperture, on the front it has a 5MP selfie camera which can capture 120 degree wide selfies. The device comes with pre-loaded games likes AngryBirds, Power Cricket T20, and Nitro Racing. It runs on Tizen 2.3 OS and will be upgradeable to 2.4 version in the near future. It comes with a 2,600mAh battery that can last for a single day of mixed usage. The Ultra Power Saving Mode on this device can give 33 hours of standby time with just 10% of battery life. The device also comes with the ‘Ultra Data Saving Mode’ that was first seen in the recently launched Galaxy J2, this features save upto 40 percent data usage by data compression not only in the browsers but also the in-app data. It will be exclusively available through Snapdeal starting from October 21.